Peten, Guatemala is known as the "cradle of Mayan civilization," featuring the oldest- known Mayan sites, Tikal and Uaxactun. 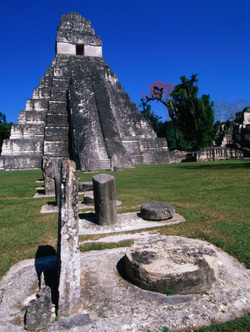 Where better to celebrate the winter solstice than the place where the Mayans calculated the solstices and the equinoxes? The Maya knowledge of astronomy was so precisely that on these lunar dates certain portions of their temples are unfailingly illuminated. The ancient Maya civilization is known for its advances in astronomy, calendars, writing, mathmatics, art and architecture. 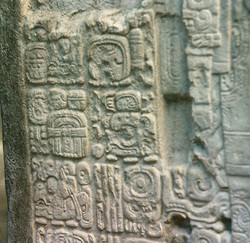 Contemporary Maya culture continues to keep sacred knowledge of the Maya calendar through "day keepers" and Shamans. The tour will include the opportunity to hear the interpretation of the 2012 references on the Maya calendar from the Maya themselves. 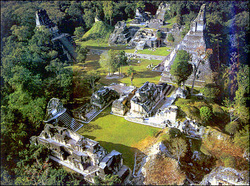 We will also see the important calendar staele located at Tikal. Guatemala means "Land of the trees" in the ancient Maya-Toltec language and Guatemala hosts 800 plant varieties including orchids and pine trees found only in Guatemala. 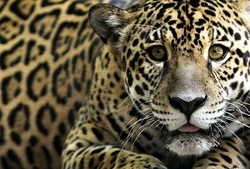 Peten is home to many species of Guatemala's highly diverse bird and animal population, including toucans, quetzals, coatimundis, howler monkeys, spider monkeys and jaguars. Participants will explore Tikal and Uaxactun, observe birds and wildlife in Guatemala's extensive northern biosphere regions and learn about the history, calendars, culture and architecture of the Maya in antiquity and in contemporary Guatemala. Celebrating the solstice and honoring light will be part of the tour experience. The tour will also include a cooking class in traditional regional cuisine, a visit to a medicinal plant garden and an introduction to ramón, a unique food from the rainforest. 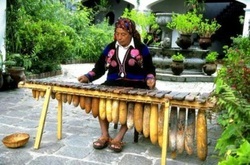 So join us in 2011 in the land of the Mayans for a celebration of light and life! From the Guatemala city airport, a shuttle will pick up at 8AM on Dec. 17 or Dec. 18. The shuttle takes you to the first class bus station. The bus leaves for Flores at 10:00 AM and arrives at 6PM, in time for dinner on the 18th. For those wishing to come a day early I can arrange an extra night at the hotel for you. It is also possible to take the shuttle from the airport at 7:30 PM on the 17th and take the 1st class night bus to Flores which arrives around 6:00 AM in Flores on Dec. 18th. Alternatively, you may choose to fly from Guatemala City to Flores -- 75 minutes. $170 one way, $320 RT. Persons wishing to fly receive a $50 transportation credit. Return transportation to Guatemala City is not included but I can help you make arrangements for your continuing destination. 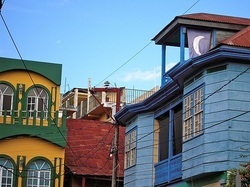 I can also book hotels for you in Flores and suggest hotels near the airport in Guatemala City. *Occassionally circumstances beyond BFGT's control make keeping the exact itinerary unworkable. In this event BFGT provides alternative activities of comparable value for tour participants.